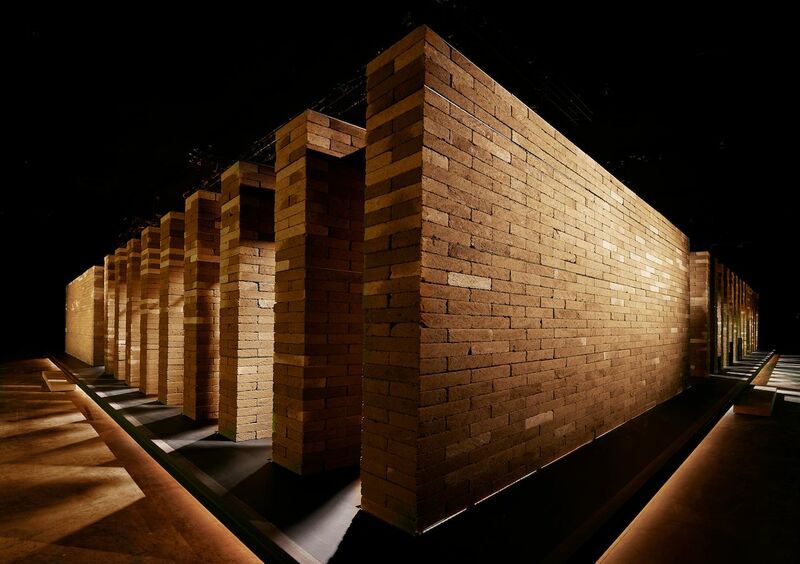 As every Spring approaches our agendas turn to look to the most keenly awaited event in the world of design: Milan’s Salone del Mobile. 2016 makes of it the fifty-fifth anniversary of Salone – an appointment we could not pass up. A fair that began as an exhibition and trading date for Italian furniture designers has been settled as the International design date nowadays. 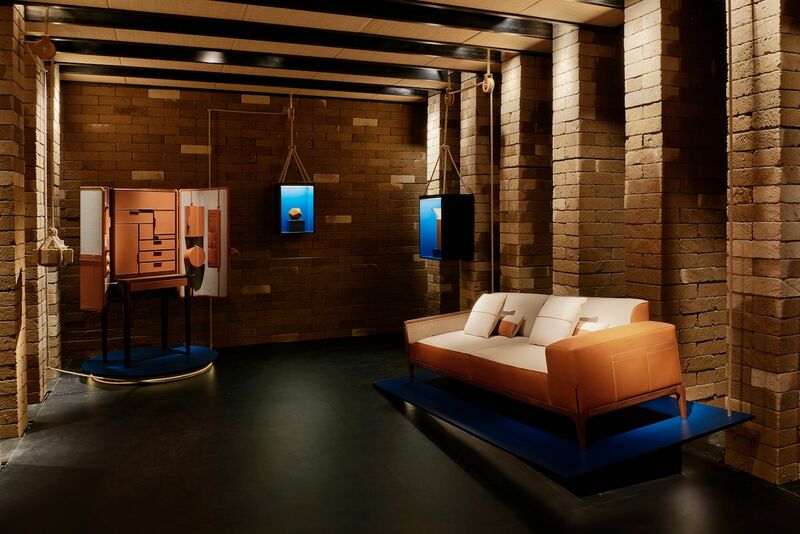 Walking through the historical center of Milan, Piazza Vetra gives place to Teatro Vetra, whose oval space hosts Hermès 2016-2017 Home Collection. 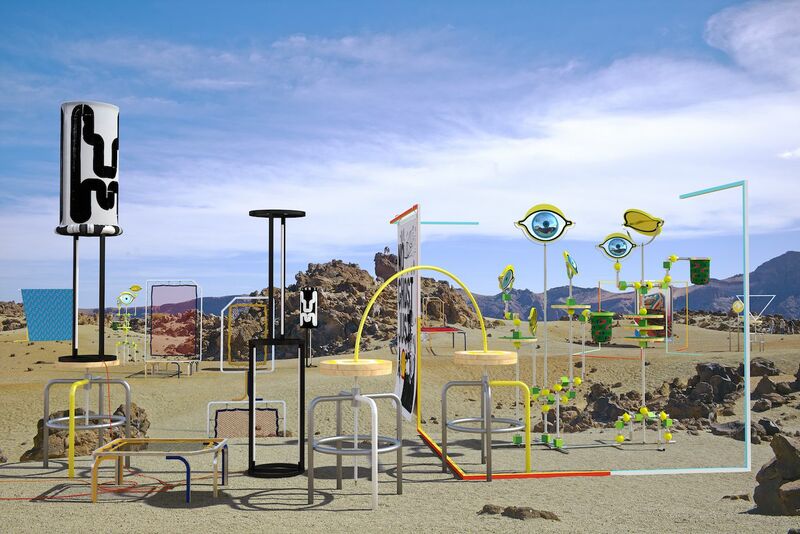 A set of the French brand comprised of furniture, textiles and accessories among other delicate pieces that integrated pleasantly with the exhibition installation designed by the Mexican architect Mauricio Rocha letting the essence of the French House flow in the atmosphere. Therefore, the choice of traditional materials by Rocha translates the values of the House: the hand of the craftsman that faithfully passionated initially specialized in horse equipment in 1837. As every item on Hermès historic list, the finest attention to detail governs its new collection again. By the hand of Charlotte Macaux Perelman and Alexis Fabry various strands to the collection can be discovered: ten classic campaign furniture pieces designed by Rene Dumas have been re-edited; Architect Rafael Moneo has re-thought two oak chairs; Pierre Charpin brought colourful wood centrepieces; Noé Duchaufour-Lawrence Sofa Sellier; a smaller scale collection of accessories by Studio Hermès and guests; or Nigel Peake crayon aesthetic illustrations. Rafael Moneo 1960’s Oria chair revision has given it the House touch and know-how by adding fine materials like the velvety leather backrest embracing Hermès renamed as Oria d’Hermès. Studio Hermès and guests express balance, proportion and harmonize in pure elementary forms that make appealing functional desk accessories. 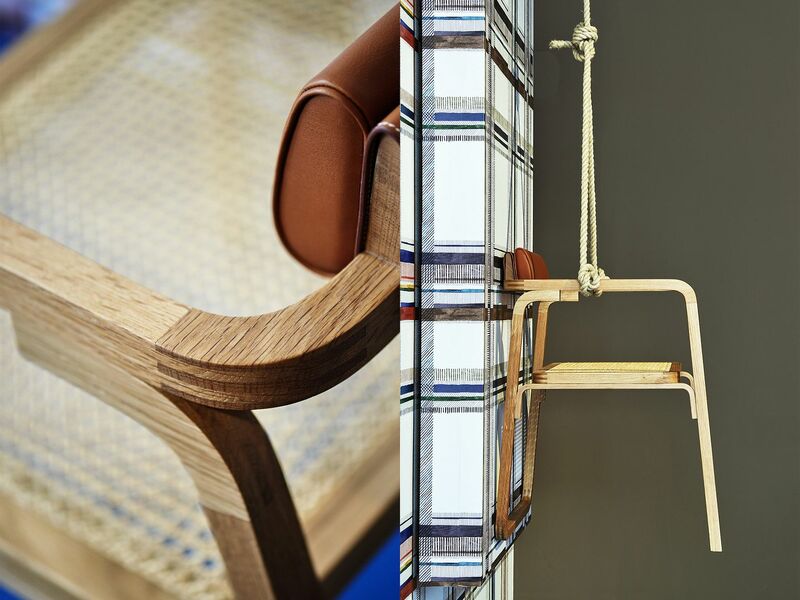 Topping the exhibition Sofa Sellier, in which the House, as in Oria chair, introduces for the first time cane work, and two know-how leather pieces can be found: the watch cabinet and the jewellery dressing table. Large scale triptych by Nigel Peake: A walk in the city; Morning, Afternoon and Evening. 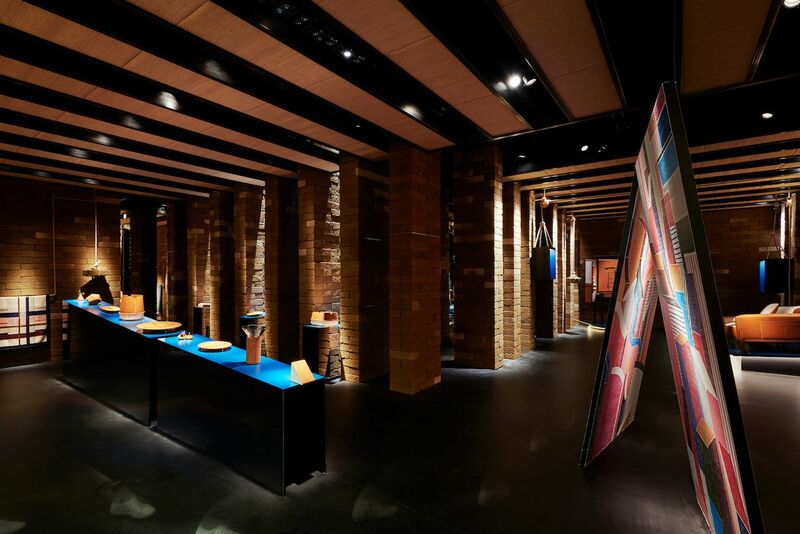 Leaving the historical center and moving to the east-side we found in Via Giovanni Ventura Plusdesign Gallery, where Michael Amzalag and Mathias Augustyniak (duo M/M Paris) by the hand of Kris Van Assche (Creative Director of Dior Homme) take the space in all three dimensions to let our five senses enjoy. When fashion, creativity and graphic visual art come together happens this: sets and decoration elements conceived by M/M for Dior Homme catalogues and installations in selected shops around the world are brought to the front row in order to leave the 2-D and become a 3-D experience for the attendants. 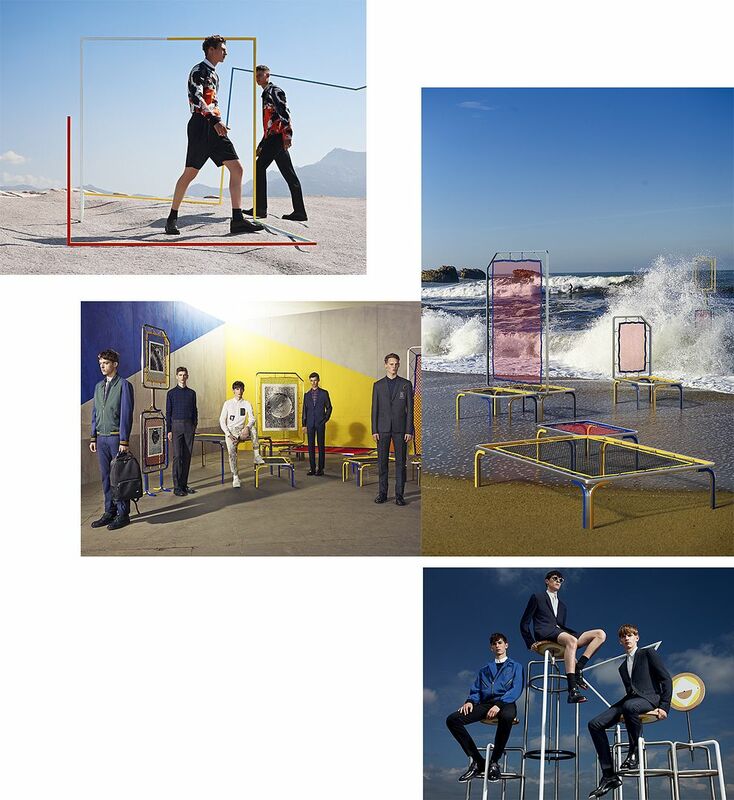 A series of furniture rendered signs-as-designs that have been developed for Dior Homme over the last four years are now reconfigured as potential furniture: Borderline (2013) that appeared in Spring/Summer 2014; Tables (2014) from Spring 2015 campaign; Stools (2014) from Autumn 2015 campaign can be found next to Citronnier ou Laurier (2015) or Lampshade (2014) and other pieces from the artists collection. 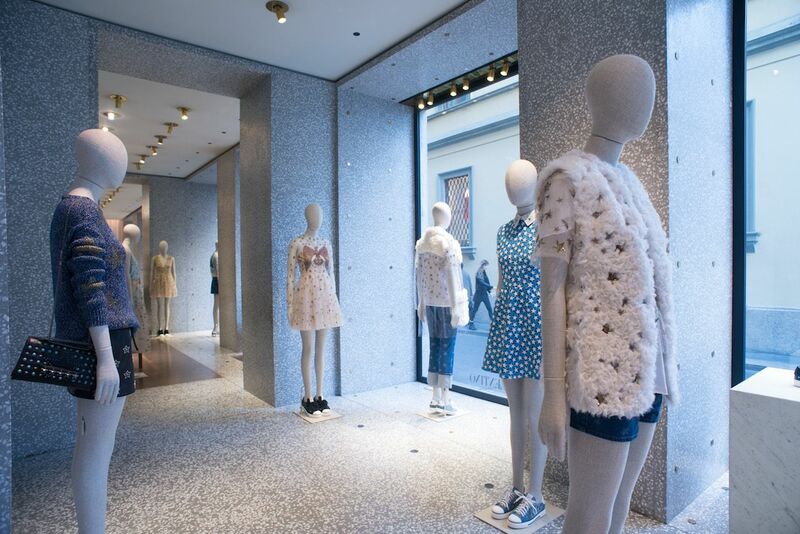 Salone del Mobile do not just mean furniture: fashion is also present. So we are riding now to the Quadrilatero della Moda, to via Montenapoleone fashion district, one of the most or even the most important fashion district in the world to attend Valextra Insideout collaborative project with Lorenzo Vitturi at its historic re-designed Milanese boutique in Via Manzoni by Bernard Dubois. Valextra’s painstaking and carefully designed accesories given to the reinterpretation of Vitturi give birth the reinvention of its coloured dye between the concoction of the principles of decomposition and re-composition, the mixing template scraps and photography, sculpture, installation or graphic order. Thus, this contraposition between Valextra’s clear lines and this amalgam of techniques, work succesfully. “Organic compositions, colour vibrant, protruding form in and out of the store space. Insideout meaning unleashing what is not normally revealed”. Durante the Design Week, the Valentino boutique’s celebrated the new Wonder Woman Valentino capsule collection: a tribute to women’s natural ability to keep the many aspects of life in balance. 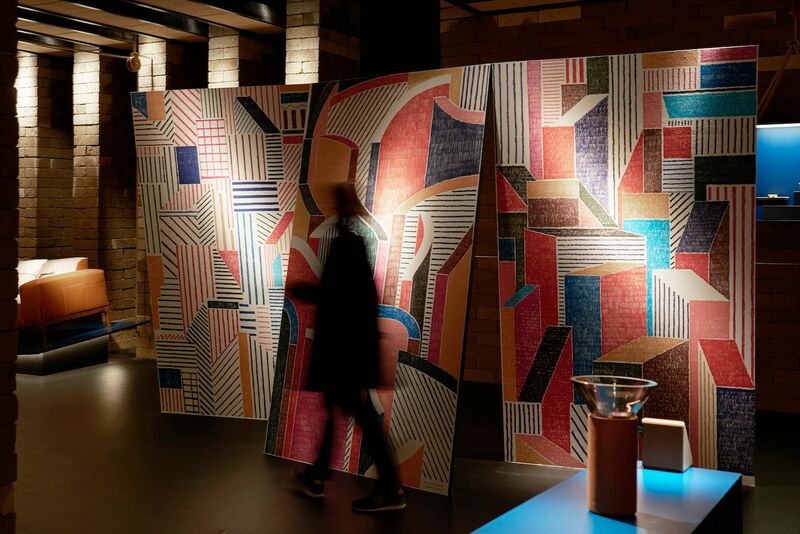 The traveling live performance by artist SOLO celebrating the new collection, after the first stop in Milan, showed up in Rome and New York.